Club Penguin Cheats by Mimo777 Club Penguin Cheats by Mimo777: Penguin of the Day: Agent Blanco! 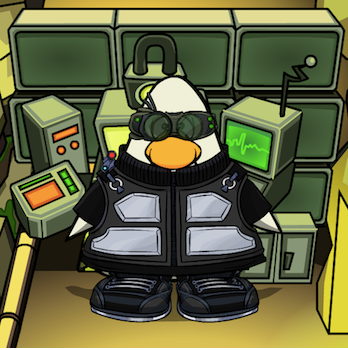 Agent Blanco is one committed EPF Agent! When he isn’t tracking down that pesky polar bear, Herbert, he’s doing his best to help catch rogue penguins. Ace work, ace goggles. Let Cp know if you have a buddy that should be the POTD! Hello! Can someone tell me where did Agent Blanco got all of those awesome clothes? What are there's name? ?